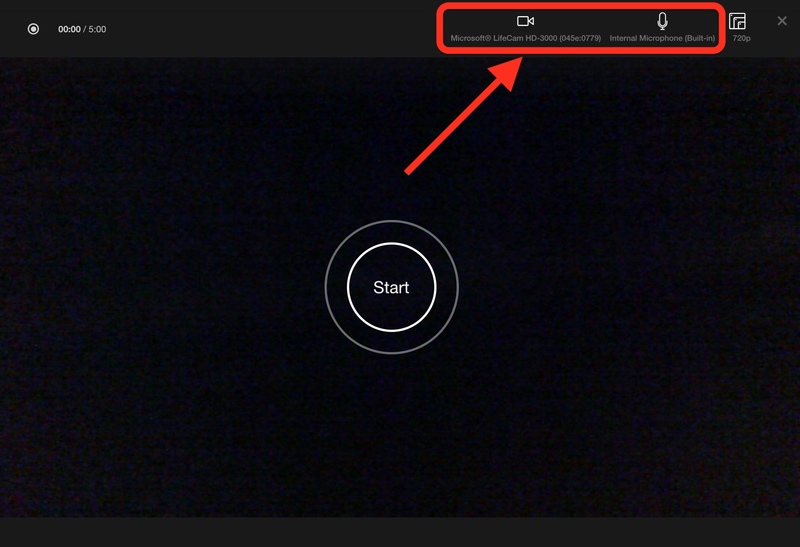 In the Clipchamp Utilities webcam recorder tool you can use external webcams and/or microphones and they should work on all operating systems. 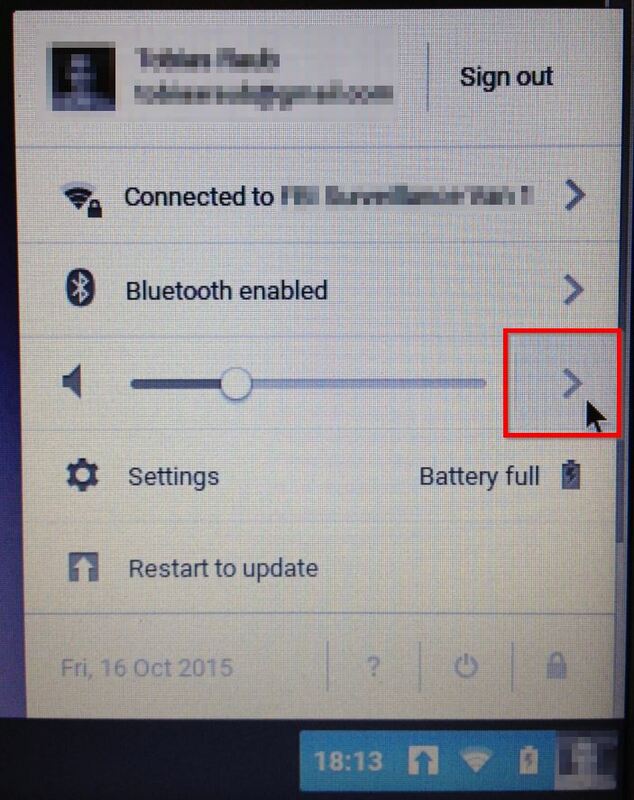 When you plug an external webcam or microphone into your computer, it will automatically get recognised by your operating system and appear as an input option in the Utilities recording screen. All you have to do is select the camera and microphone you'd like to use as your video and audio sources from the menu options in the top right. If your external webcam has a microphone built in, it will also appear in the microphone options. Please see the below for an explanation of how external microphones work with Chromebooks, which is slightly different to how they work when using Clipchamp Utilities on a Mac or Windows PC. 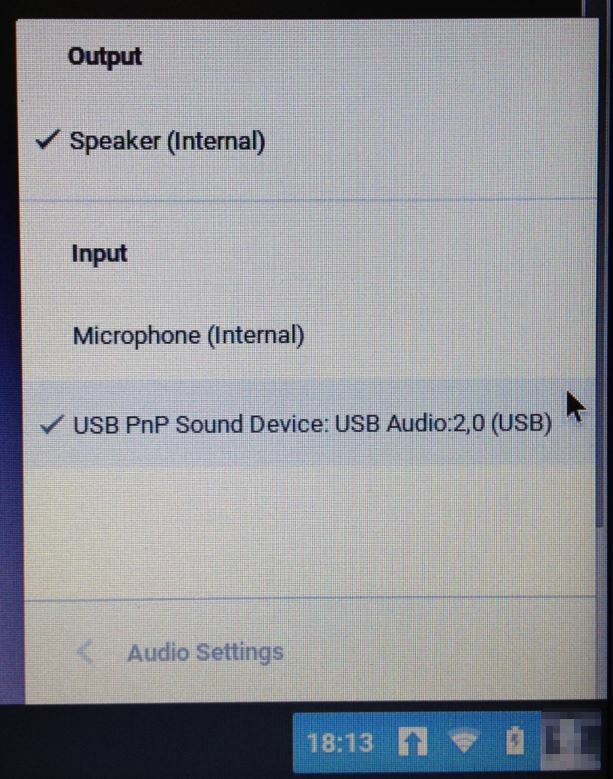 Unlike on Mac or Windows, on Chromebooks an external microphone won't necessarily appear as a separate microphone option to select in the Recorder. Instead the Default option will be your external mic – as long as it was selected by Chrome OS in the audio settings. Click on the Clock/Wifi/Battery indicator on the right side of the task bar, then go to audio settings by clicking on the arrow next to the volume slider. If it is, that means that Clipchamp will record audio through it even though it does not appear in the dropdown on our webcam recording screen. The "default microphone" on that screen is your external mic. Please note that Chromebooks don't seem to be able to record video and audio from the Lifecam (and its inbuilt mic) at the same time. This works on other computers (Mac, Windows) but not on Chromebooks, at least not during our testing. During the testing, ChromeOS was either able to record audio OR video from an external USB source (such as the Lifecam) but not both at the same time from the same source. What we ended up doing was select the Chromebook's inbuilt mic as the audio source in the ChromeOS settings, after which we could pick the Lifecam as the video source in the webcam recorder.